FEST: Happy Martin Luther King, Jr. Day! 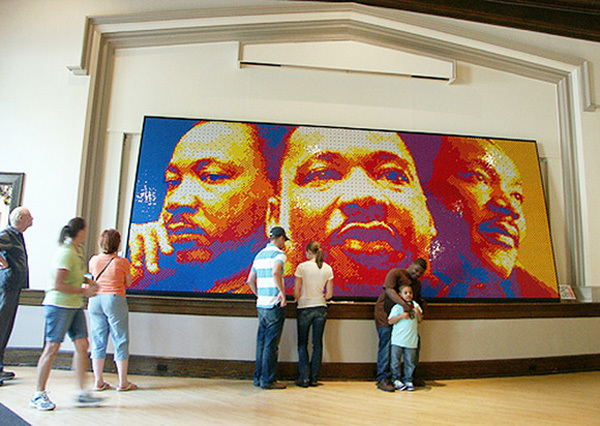 This amazing artist Pete Fecteau used 4,242 Rubik's Cubes to create a mural of Martin Luther King, Jr. 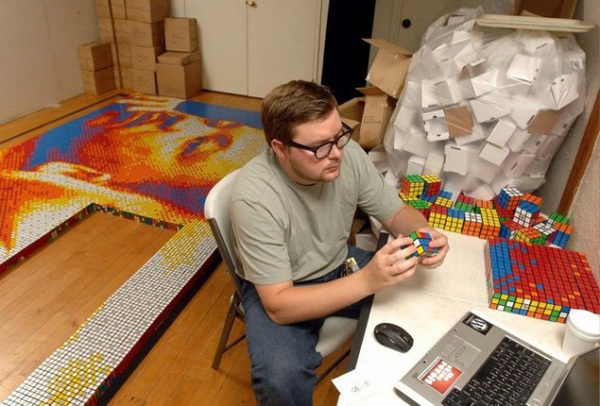 The mosaic was on display in Grand Rapids, Michigan for a month, but sadly had to be disassembled because the Rubik's Cubes had been rented! What a masterpiece. To view more pictures and read more about the artist's process, click here.